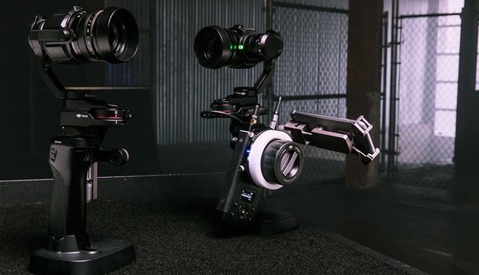 At CES 2018, DJI released details of the Ronin-S, a one handed gimbal system with modular add-ons for creative filmmaking. 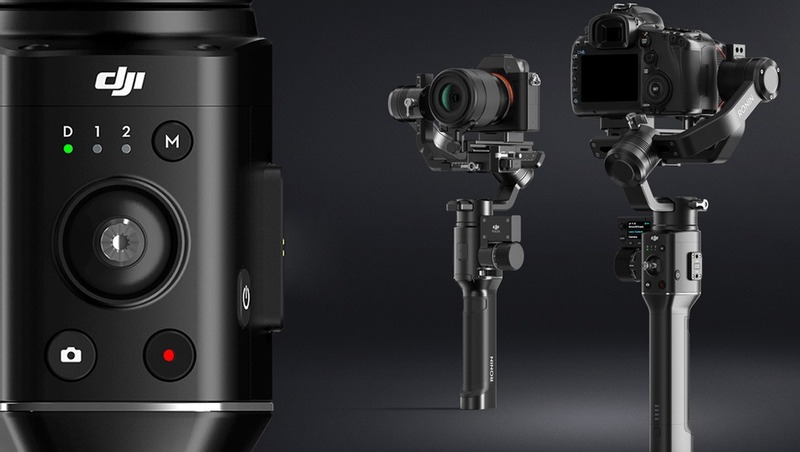 This is already a crowded market, with Zhiyun-Tech and Moza offering some of our favorite options, but given DJI’s proven track record of building top class gimbals, should you wait for the Ronin-S before investing in a new one-handed gimbal system? Since the release of the Ronin in 2014, DJI have offered consumers some of the best options for DSLR and mirrorless handheld gimbal systems. But over the last 18 months, we have seen a rise in popularity of the one-handed gimbal system, a space in the market which DJI have attempted to fill themselves with the OSMO, the OSMO Pro, and the OSMO Raw. The One-Handed Gimbal System: How Did We Get Here? The original OSMO was an affordable choice for a smooth tracking shot but you had to settle with using the 1/2.3-inch CMOS sensor on their X3 camera, an equivalent spec to a GoPro HERO4 sensor. So to offer options for professionals, they released the OSMO Pro, equipped with a Micro Four Thirds sensor and priced at $1,999, and the OSMO Raw, equipped with the same Micro Four Thirds sensor but with raw video recording capabilities and priced at $3,699. As a team-of-one filmmaker, a reliable and convenient gimbal system has been an important asset to have in my toolkit. Initially I owned a DJI Ronin to mount a Panasonic GH4, but found it difficult to bring with me when I needed to travel light, the setup time took too long when I needed to be thrifty when shooting live action, and the weight would be an issue when shooting for long periods. So when the OSMO Raw was released, it felt like the perfect combination of tools in a lightweight package for those smooth shots, albeit an expensive option. But after spending several months shooting with it, I ended up writing an article about the eight problems with the OSMO Raw. It wasn’t a piece of kit I could rely on, and the workflow to integrate these shots into final projects was exhausting to say the least. I ended up selling my OSMO Raw in replace for the much cheaper Zhiyun-Tech Crane v2. The benefits were obvious: I now got to choose which camera to mount as long as the payload stayed under 1,200 grams, postproduction was much smoother, it was miles cheaper at $399, and lightweight. All of a sudden, the market was swamped with various one-handed gimbals, all offering slightly different solutions to the same problem. Check out the video below to see our very own Lee Morris review some of the market leaders. It was always inevitable that DJI were going to join the party given the demand for one-handed gimbals systems, and with the OSMO Pro/Raw systems not quite hitting the mark. But what will their Ronin-S system offer that isn’t already available? Well first up, you’re going to have to wait at least six months to get your hands on one with release scheduled for "the second half of the year" according to a DJI rep at CES 2018. Price is also to be confirmed, with the only official word being it will be under $1,000. This makes sense, given their entry two-handed system, the Ronin-M is priced at $899. Payload is also to be confirmed, but expect this to be in direct competition with the new Zhiyun-Tech Crane 2 at 3,170 grams. The motor is positioned at a 45-degree angle below the mount which means that the back of the camera will be clearly visible. This is certainly useful, but if your camera has a fold-out screen like the Panasonic GH5, then having line-of-sight to your screen isn’t impeded on certain existing systems. The key difference that will separate the Ronin-S from the competition will be the modular upgrades for more creative control. 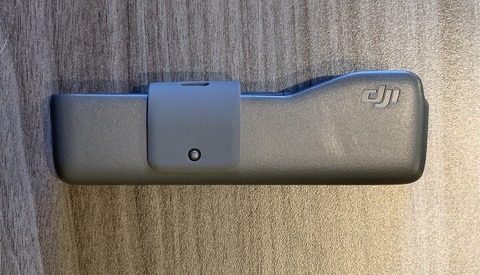 There will be accessories to attach a wireless video transmitter, focus control, remote control, a dual handle system, and offer the ability to attach your own LED and mics. This again, is all quite ambiguous in their marketing material at this stage, but it is this ecosystem of modular add-ons that could make the Ronin-S a popular option for filmmakers who want a gimbal system that at it’s lightest is a one-handed gimbal, but can be built up into a comprehensive two-handed system. The popularity of these creative controls will also be dependent on the camera manufacturers’ willingness to open up their protocols. The Zhiyun-Tech Crane 2 has follow focus controls for Canon DSLRs released after 2008 with original Canon autofocus lenses, meaning all the Panasonic and Sony mirrorless shooters are still awaiting a follow focus system from a one-handed gimbal. DJI will be two years late into the one-handed gimbal system market. For the first time in a while, they are playing catch-up. The development of a one-handed system could be seen as a surprise by some given the existence of products like the Romin-M that take direct aim at the mirrorless filmmaker market. But with the increasing popularity of the one-handed gimbal system, it was only a matter of time before DJI followed suit. The main difference I can see between the Ronin-MX and the Ronin-S is the ability to mount an external monitor. But since dual handles can be attached to the Ronin-S, one assumes you could mount a screen onto these bars, much like the Moza Air. If it is a toss up between these systems, then the Ronin-S is going to offer more variety in setup, so is probably worth waiting for. There are too many unknowns at this stage to determine clear improvements over the available competition in the one-handed, three-axis gimbal system market. 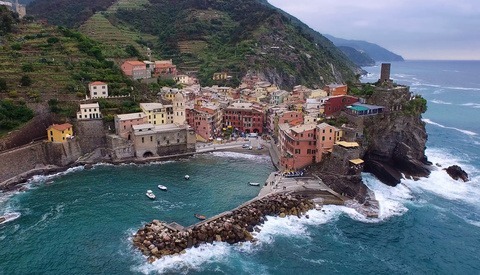 But given DJI’s huge budgets for product development and their track record in providing modular options to their existing Ronin and drone ranges, you can safely assume that the Ronin-S will provide budget filmmakers genuine consideration as an alternative to what’s currently available. But DJI will have to make serious noise if they want to turn users away from the current market leaders. Well maybe they are the new Apple. Not the first but the innovator to bring it all together (iPod, iPhone, iPad). You could be right. I do love the fact that the gimble doesn’t block the screen. There have been one-handed gimbals before that put the motor on a 45-degree angle. Main complaint with these, if the reviews are to be believed, is that the motor has to work harder to keep the camera stable which can cause micro-jitters. If DJI has solved this, it would be an interesting option. Otherwise they'll be dead on the water. Will definitively wait for it. Looking forward to replace my rather bulky Ronin M for weddings with this one. *Yawn* 5 months later... DJI is pulling a “Black Magic” on us. Feels more like a kickstarter than a product announcement. Any bets on which comes out first? A7S3 or Ronin S? 2020? 2025?